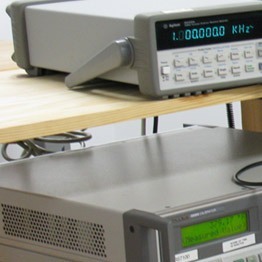 We provide calibration service to a range of customers including oil & gas field companies, power generation & water desalination plants, power utility companies, marine, precision Engineering, Chemical and environmental, facility management, food processing, hotel & catering and general manufacturing industries. We at PTECH not only supply the products but also provide complete technical support and service including onsite training for various High Voltage, Low Voltage Electrical Test & Measurement Instruments, Temperature, Level, Flow, and Pressure measurement Instruments, AC/DC Motor fault diagnostic instruments, PAT tester etc. We offer onsite AC/DC Motor Fault Diagnostic Services using Electrical Signature Analysis (ESA) and Motor Circuit Analysis (MCA). Test the condition of the AC/DC motor online without disturbing its operation. Established in the year 2001, PROGRESSIVE TECHNOLOGY & SERVICES L.L.C. has grown steadily to become one of the trusted name in Electrical Test & Measurement, Instrumentation & Control systems for a wide variety of industries such as Power, Water Supply & Treatment, Chemical & Fertilizers, Oil & Gas fields, Cement industries, Food processing. Our strength lies in providing complete solution to our customers with a combination of various products and services.